New ListingSony Walkman NWZ-S545 BLACK Digital Media Player TESTED WORKING - Free Shipping! I am the original owner. It has significant visible wear but is in full working condition. There are various visible scratches and dings, which are visible in the photos. Included in the sale is a the USB charging cable. 4.5 out of 5 stars - Sony Walkman NWZ-S545 BLACK Digital Media Player TESTED WORKING - Free Shipping! 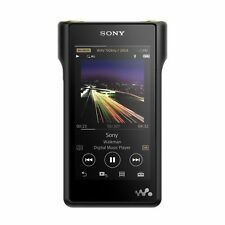 24 product ratings24 product ratings - Sony Walkman NWZ-S545 BLACK Digital Media Player TESTED WORKING - Free Shipping! Sony 4 GB MP3 Walkman - Digital Media Player - Red (NWZ-E463). Condition is Used. Shipped with USPS First Class Package. This Sony walkman is in good condition, showing some light scratches on the screen and body (see photos). It works perfectly, and is a good deal for the price! DOES NOT COME WITH CHARGER CABLE, WALKMAN ONLY. IF YOU HAVE ANY ISSUES WITH YOUR ORDER, CONTACT ME AND I'LL MAKE IT RIGHT! 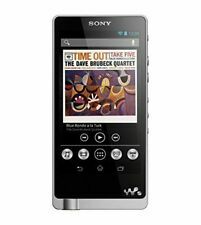 Sony NWE394/B 8GB Walkman MP3 Player (Black). Re Certified By Sony, In Grade A In Like new condition. Sony NWE394/B. Manual is not included and it can be download for free from Sony web site. Formats Supported Audio: AAC (Non-DRM), Linear PCM, MP3, WMA (Non-DRM). Unit is in great shape and works well. Sony Walkman NWZ-E353 Red Digital Media Player MP3 HMI. Condition is Used. Shipped with USPS First Class Package. Player only. No accessories included. Fast free shipping with tracking number. Thanks. Sony MD Mini-Disk Walkman MZ-NH600D Sony 1GB Disk. Condition is Used. Scratches but working. Please see all photos for exact condition details. Battery compartment is corrosion free. Shipping with USPS First Class Package (2 to 3 business days). Earphones, not a serialaccessory, MDR-XB450 as a gift! MP3 player with OEM charging cradle and USB cable only. · Drag & drop from iTunes for Mac or Windows, Playback MP3, WMA, AAC, and Linear PCM Audio Files, Supplied: USB dock, Hi-Speed USB 2.0. =============. Sony Walkman NWZ-S544 Digital Media Player MP3 8GB TESTED LG3 and charger. Condition is Used. Shipped with USPS First Class Package. 4.5 out of 5 stars - Sony Walkman NWZ-S544 Digital Media Player MP3 8GB TESTED LG3. 57 product ratings57 product ratings - Sony Walkman NWZ-S544 Digital Media Player MP3 8GB TESTED LG3. This is a beautiful digital audio player. It supports pretty much every audio format you would expect, including high bitrate PCM and DSD. But, if you're looking at this you probably know all that already. MP3 player with OEM charging cradle and USB cable only. Drag & drop from iTunes for Mac or Windows, Playback MP3, WMA, AAC, and Linear PCM Audio Files, Supplied: USB dock, Hi-Speed USB 2.0. =============. Sony Digital Media Player NWZ-A828 Walkman, comes w/ Wall Charger , power cord,manual,and install disc,Condition is Used-it has screen surface scratches, system powers on and seems to hold a charge BUT not sure if battery needs replaced. It’s quite old so know that you may need to buy a replacement. That’s why it’s at a bargain price. It also comes with original manual and install disk. 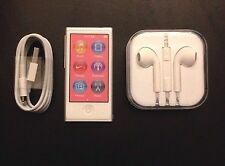 I have not tried hooking it up or setting up the Bluetooth it’s sold as is. No international refunds whatsoever including APO military and non-mainland USA this is also a USA product not sure on other region compatibility. 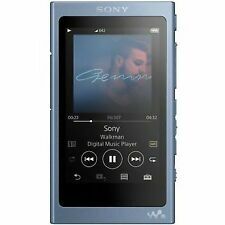 Up sir sale is Used Sony Walkman NWZ-E463 Blue (4 GB) Digital Media Player NPN Actual item pictures, you get what you see. Fast shipping with tracking number. Player only, no accessories included. Thank you. 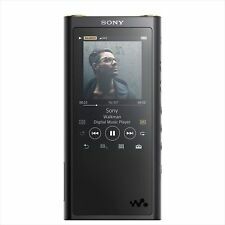 Sony Walkman NWZ-A815 Black (2 GB) Digital Media Player. Condition is Used. Shipped with USPS First Class Package. New ListingSONY 32GB Walkman NWZ-X1061 - Appears New in Box with Video MP3 Player. SONY 32 GB Walkman NWZ-X1061. Appears New in box with all paperwork and accessories. Black on front and back with granite on sides. Video MP3 Player and noise cancellation. 5 out of 5 stars - SONY 32GB Walkman NWZ-X1061 - Appears New in Box with Video MP3 Player. 2 product ratings2 product ratings - SONY 32GB Walkman NWZ-X1061 - Appears New in Box with Video MP3 Player. Condition is Used. Sounds amazing! 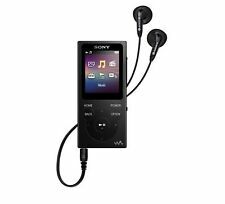 Sony Walkman NWZ-A726 4GB Portable MP3 Digital Media Player Black DAB . Condition is Used. Shipped with USPS First Class Package. No accessories included. Just the player. Fast free shipping with tracking number. Thank you. 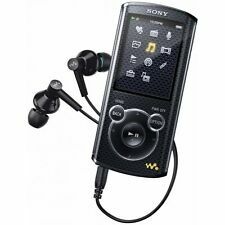 Sony NWE394/B 8GB Walkman MP3 Player (Black). Having an MP3 player can allow you to store and listen to your favorite music albums anywhere and on the go. However, figuring out the perfect device to get can be a daunting challenge especially if you don't have the right information. What Should You Consider When Looking for an MP3 Player? Whatever your choice is, there are a number of considerations you should make before settling on your preferred portable audio player. Memory: The memory space differs from one player to another with the most devices being in the 8 GB to 64 GB range. Essentially, the choice usually comes down to the user storage needs. If you have a large music collection, you should look for devices that offer around 16 GB. This is enough to store over 1500 MP3 songs. Portability: MP3 players come in different sizes. If you move around quite often, you might want to opt for a small and compact device. Also, opting for a flash memory player can make your device more portable and durable. While hard disk players usually have larger capacities, their use of moving parts mechanism makes them more susceptible to skipping and less suitable for those want to listen while exercising. Battery life: Most audio players come with rechargeable batteries. Choosing a device with a quality battery can grant you long hours of music playback eliminating the need to plug in every other hour. Accessories: Digital media players come with different accessories such as headphones or earbuds. Choosing a music player with accessories can eliminate the need to invest in new ones. 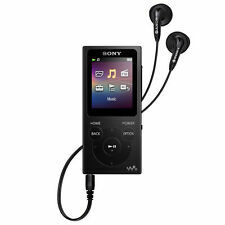 What Are the Main Features of Sony Walkman MP3 Players? Design: The devices come with a smooth and polished design with some featuring a waterproof build. The design varieties on offer are apparent, from the classic build to the all-in-one sport-friendly players. Storage: Sony offers a wide range of storage options with their Walkman series. You are able to choose your preferred storage size from the low-end single GB MP3 player to the expansive 128 GB MP3 player. Some devices also come with a MicroSD slot enabling users to upgrade their storage space. 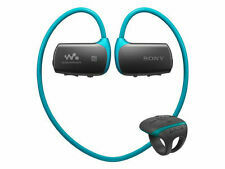 Audio quality: The Walkman players use exclusive Sony clear audio technologies allowing listeners to enjoy Hi-Res sounds. The devices also come with the Dynamic Normalizer feature which balances the volume between songs when listening in the shuffle mode. In addition, they support multiple audio codes meaning you won't have to worry about the format of your music files. Easy content transfer: Sony Walkman MP3 players come with fast USB support and a user-friendly interface making it easier to transfer media files from computers. Lithium-ion batteries: The players come with rechargeable Lithium Ion batteries able to support hours and hours of audio playback.